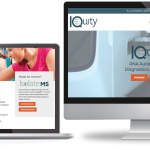 IQuity, Inc. is a data science company using genomic and proprietary healthcare datasets to detect and monitor chronic disease. IQuity developed a game-changing blood test using RNA data to accurately identify autoimmune diseases earlier than current, conventional testing methodologies. 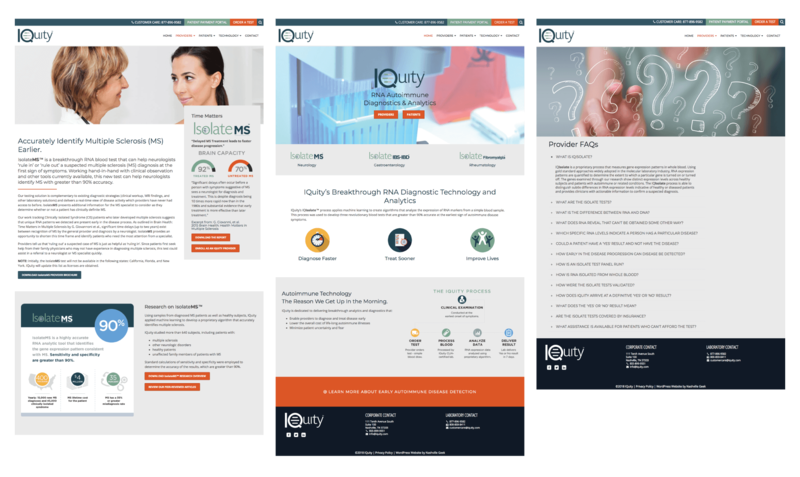 IQuity was in need of a WordPress website that was mobile responsive, user-friendly, and easily updated as needed. 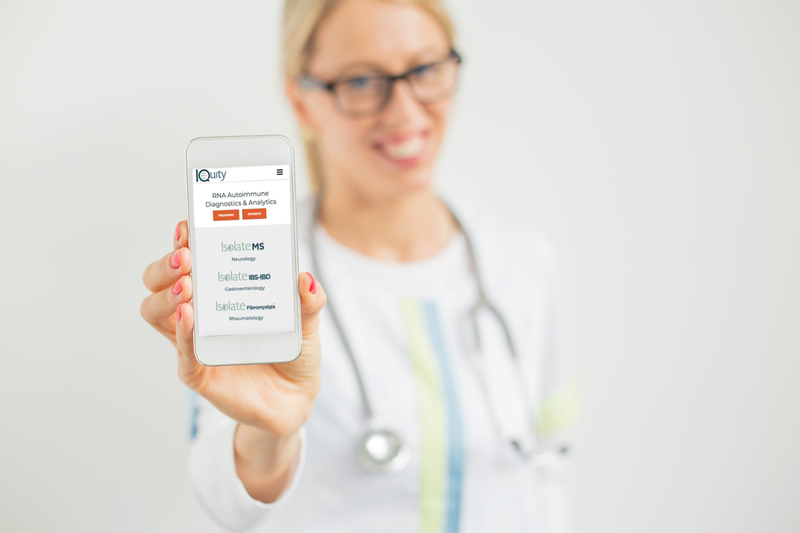 We developed a custom WordPress website offering quick and easy access to valuable information for patients and providers focused on early detection of Multiple Sclerosis (MS), IBS/IBD, and Fibromyalgia.